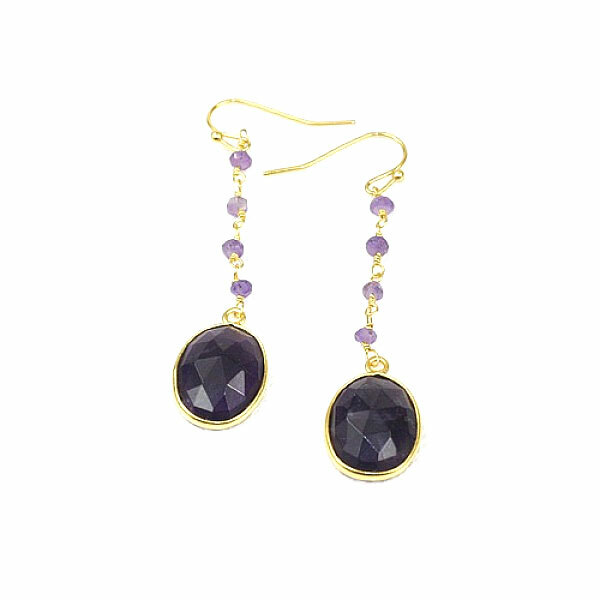 These are pretty 18k Amethyst Long Drop Hook Gold Plated Earrings. From the hook at the ear a fine chain, holding 4 small amethysts, fall to a large, faceted, darker purple Amethyst. The earrings are made of 18k yellow gold plated brass in a Frame Setting.